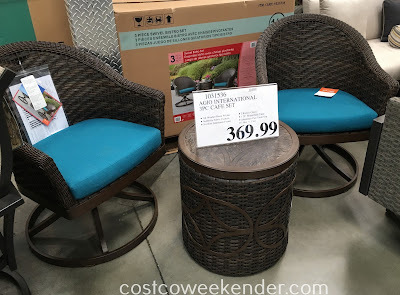 It's awfully nice to be able to spend some time outside in your patio or backyard especially when it's warm out, but you don't necessarily need to have a full outdoor dining table complete with several chairs. 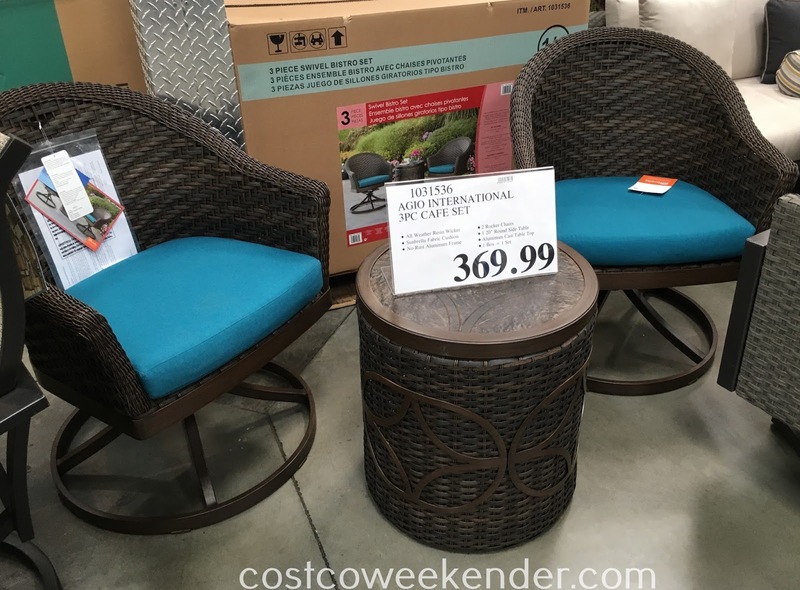 Sometimes all you need is something smaller like the Agio International 3-piece Swivel Bistro Set. With this cafe set, you and your significant other can enjoy your morning coffee reading the newspaper as the sun rises. If it's just you and a partner in your household, you definitely don't need anything that seats 6 or even 4 people. That or maybe your patio isn't big enough to accommodate such a big outdoor set. 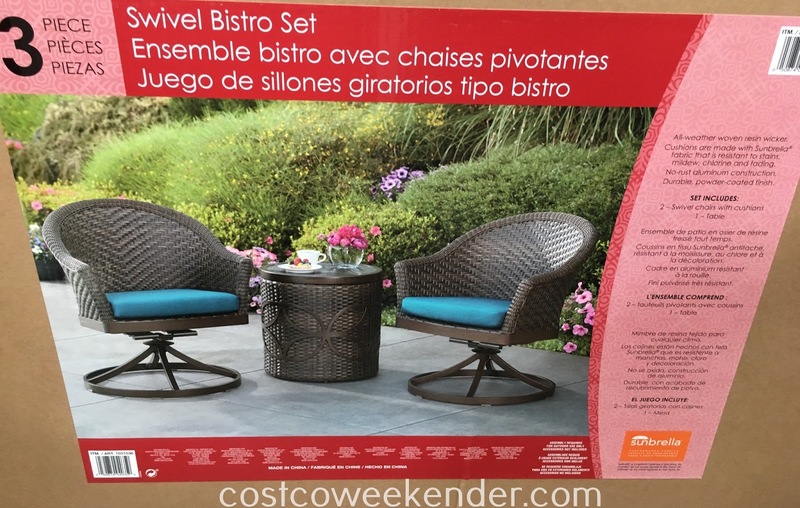 Perhaps you live in an apartment or condo with a balcony big enough for only two chairs and a small table. 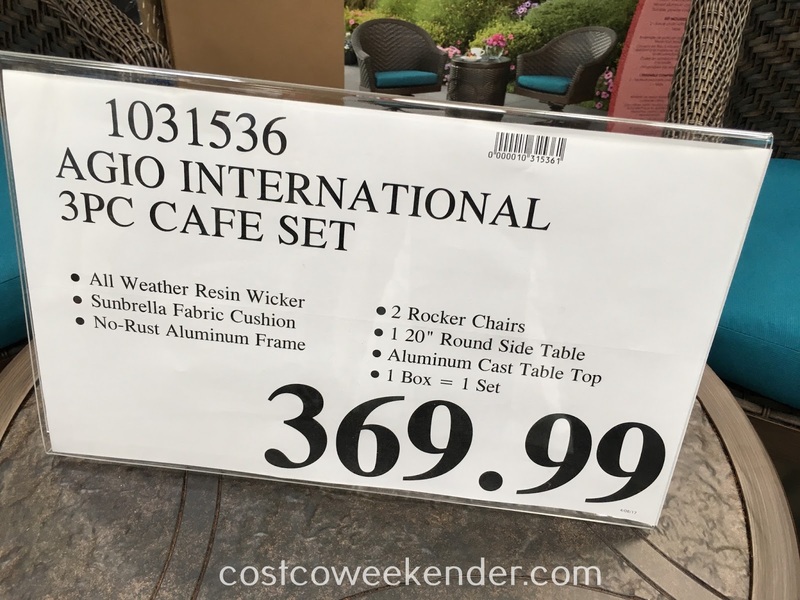 Although it can't seat more than two people at a time, a smaller set like the Agio International Swivel Bistro Set will just make your outdoor living area that much more intimate and quaint.